HYANNIS, Mass. – With summer slowly making its way to the northeast and current Cape Cod Baseball League players arriving on the Cape, early June marks another key time for the nation's top collegiate summer league: the 2017 Major League Baseball First-Year Player Draft. The MLB draft is slated to begin Monday, June 12, and continue through Wednesday, June 14, in Secaucus, N.J. The 2016 version saw 17 CCBL alumni drafted on first day, including No. 2 overall pick, Nick Senzel, who played for Brewster Whitecaps in 2015. With a record-high number of 297 alumni currently playing at baseball’s highest level, the CCBL is poised to make a splash yet again in the 2017 MLB First-Year Player Draft. The Minnesota Twins hold top pick in the draft, followed by the Cincinnati Reds, San Diego Padres, Tampa Bay Rays and Atlanta Braves in the top five. Former Cape Leaguers make up four of MLB's top 10 draft prospects, headlined by Brendan McKay (Bourne ’15) at No. 2 spot. McKay batted .300 in 16 games with the Braves in 2015, and is two-position standout at Louisville. In addition to his prowess at first base, McKay is an established pitcher. His versatility puts him in contention to be No. 1 overall pick by Minnesota, as he is a two-time John Olerud Award winner as college baseball’s best two-way player. MLB.com’s Jonathan Mayo has McKay going fourth overall to Tampa in his latest mock draft. Others, however, have McKay going even higher--perhaps even No. 1 overall to Minnesota. Next up on the big board of Cape League alumni is Vanderbilt’s Jeren Kendall, two-year member of the Cotuit Kettleers in 2015-16. Kendall batted .253 on the Cape in 2015, clubbing a pair of home runs and registering five extra-base hits in 22 games. Scouts love Kendall’s speed, and tout him as one of the most well-rounded players available in the draft. He played majority of the summer with the USA Collegiate National Team after a brief stint on the Cape to open the 2016 season. Kendall is projected by Mayo to go 11th overall to the Chicago White Sox. 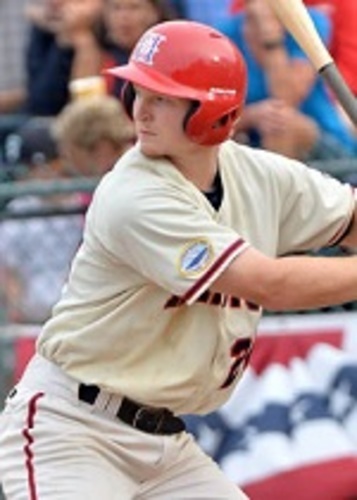 A member of the 2016 Chatham Anglers, North Carolina’s J.B. Bukauskas is seventh-ranked prospect in the draft, and projected to go seventh overall to Arizona Diamondbacks by Mayo. The hard-throwing RHP made a pair of starts on the Cape before departing for Team USA, striking out 17 batters in 9 2/3 innings of work with only two walks. One of the top hitters in the CCBL in 2016 was Harwich’s Pavin Smith, a smooth-swinging lefty out of the Virginia. Smith batted .331 with four home runs and 20 RBI during his season with Mariners, adding nine doubles. A CCBL All-Star, Smith ranked among league leaders in OBP, extra-base hits and total bases during 2016. He is projected by Mayo as another top-10 pick for the CCBL, as he is forecasted to go sixth overall to Oakland. Adam Haseley rounds out the Cape Leaguers in the top 10 prospects for MLB Pipeline, checking in at No. 10 of the top 200 potential draftees. 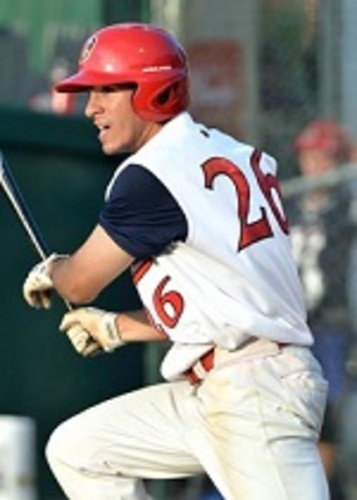 Haseley, a Cape League All-Star in 2016 for Orleans Firebirds, batted .266 during the CCBL season, knocking seven doubles and three home runs while driving in 15 runs. A collegiate teammate of Smith at Virginia, Haseley has been a two-way player for the Cavaliers though he projects solely into an outfield role at next level. Mayo projects Haseley to go No. 8 overall to the Philadelphia Phillies. Logan Warmoth is also projected to be chosen in the first round, ranking 27th best prospect in the draft after strong season with Brewster Whitecaps in 2016. The North Carolina shortstop batted .270 on the Cape last summer, clubbing four homers and six doubles in 100 at-bats. Warmoth added 19 RBIs and 18 runs scored while posting a .961 fielding percentage at a premier defensive position. 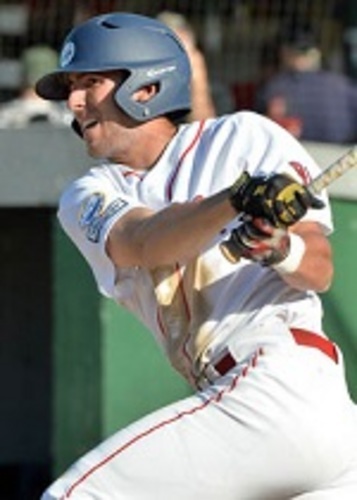 Mayo projects Warmoth as last CCBL alumni taken in the opening round, slotting him 22nd overall to Toronto. The list of potential CCBL alumni draftees doesn’t end after the first round, as more than 30 players who appeared on the Cape rank among top 200 draft prospects, with 20 ranking inside top 100 on the list. RHP Corbin Martin (Falmouth ’16), C Evan Skoug (Falmouth ’15, ’16), and OF Brent Rooker (Brewster ’15, ’16) are among top 50 prospects in draft pool, while OF/1B J.J. Matijevic (Falmouth ’15, ’16), RHP Will Gaddis (Yarmouth-Dennis ’16), RHP Peter Solomon (Harwich ’16), RHP Garrett Cave (Hyannis ’16), INF Kevin Smith (Yarmouth-Dennis ’16), RHP Zach Pop (Wareham ’16), OF Stuart Fairchild (Chatham '16), OF Brian Miller (Orleans '16), 1B Gavin Sheets (Wareham '16), INF Drew Ellis (Harwich '15), OF Greg Deichmann (Bourne '16), and 1B KJ Harrison (Wareham '16) round out players in the top 100.